Protect your home and your things. Everything inside your home is valuable, don’t take any risk and get a renters insurance in California now. Your building might be insured, but that doesn’t mean that everything in it is covered by the insurance. If you are renting an apartment or a condo, safeguard your personal property with Rais Insurance. If you lost your possessions because of a break-in or a fire, your insurance will allow you to recover their value. Our California renters insurance covers your personal property, damages to your apartment/condo, and personal liability if someone is hurt in your home. 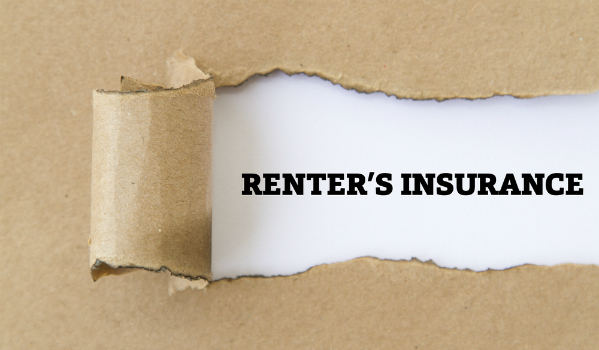 What Makes Renters Insurance a Must Have? A home is a property where you do not just value the ground or the house built on top of it but a lot of valuable things are kept inside. Be it the owner living there or renting it to a tenant, when so many items are there, there is bound to be loss and damage caused by man made and natural disasters which can include burglaries, fire accidents, floods, hurricanes, earthquakes, etc. These things are out of your control and you need an insurance to protect you from financial burdens in case the need arises. The biggest advantage of having insurance is that it doesn’t matter whether the damage was caused by the tenant, the owner or another third party. A claim can be made to ensure you don’t have to face the losses. Since a damaged property cannot be rented, the insurance paid can pay for repair or other costs till you are back on your feet. One of the best benefits that you immediately gain out of renters insurance is that both the tenant and the landlord can live in a peaceful manner. They will never have to worry about any other expenses. Unfortunate natural calamities can cause irreversible damage to your home. But, the insurance, as stated above, will remove the financial strain and take care of expenses to required for repairmen or replacement. Accidents may happen from different sources. A power leakage or improper use of power in a different apartment could affect the entire lineup of homes including your own. In such a scenario, you can rely on your insurance policy to pay for the damages. The insurance premiums are much more affordable than actually paying out of the pocket to replace a theft or repair damage. It is much more beneficial in the long run as you will be paying a specific, but a small sum. However, when the need arises, the payout can be much higher and is just what you need. How Much Will Renters Insurance California Cost? Rais Insurance is committed to helping people find the best insurance in California so that they don’t have to worry about paying an exorbitant premium that is way out of their budget. Instead, we focus on helping you in bundling multiple plans together which leads to considerable discounts. We also understand the need to get comprehensive coverage for your home, car, boat and other expensive items you might want to insure. The cost of buying Renters insurance California will vary based on the size of your home, the kind of property or items you would like to get insured and the locality. If your home happens to be an apartment or an individual house located in a more expensive region in California, the cost of upkeep or repair may be higher, which will lead to a higher premium. The increased costs also mean a higher payout when there is a need. There is one thing you need to remember, choose a plan, the premium of which you can pay easily. Rais Insurance works with a wide network of insurance companies and agents. We represent you to them and ensure you get the most appropriate plans for renters insurance in California. Be it increased plan coverage, reduced premium or combining multiple plans together to avail discounts, we will work with you to help you choose a plan that offers comprehensive coverage as per the premium. You can either contact us on phone or fill the simple form for a quote. We are here to help you plan what you should spend in order to get comprehensive coverage for your property.